How to use 'Goodfellas' to your advantage in business. For many entrepreneurs and freelancers, getting clients to pay -- both on-time and at all -- is a challenge. It can affect an entrepreneur's cash flow and sometimes even lead to writing off work that they spent their precious time completing. So, how do you go about getting paid more efficiently for the work that you've done? 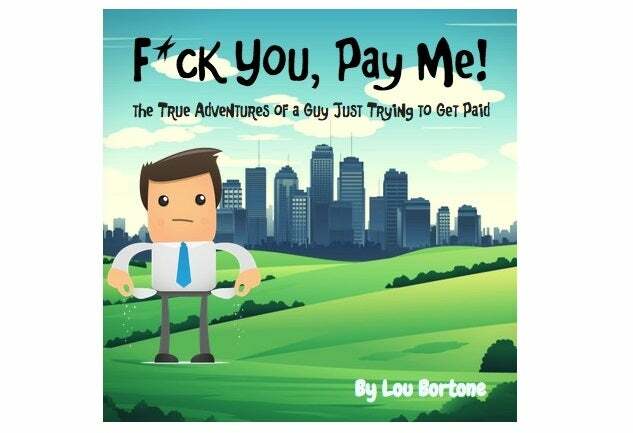 Lou Bortone took inspiration from the well-known Goodfellas quote and wrote a book to help solve this problem for entrepreneurs in a fun way. As he says, the book: "F*ck You, Pay Me! is a delightful "kids" book for grown-ups. Based on a true story, it provides a message of courage and hope to millions of hardworking freelancers, work-at-home moms and dads, and entrepreneurs just trying to get paid for their work. I had a chance to talk to Bartone a bit more about this book and how it can help you get paid! Bartone: I'm part of a mastermind group made up of entrepreneurs and small-business owners, and a recurring theme within the group is collections. It seems as though there's always someone in the group who is having a hard time collecting their fees. We've all been there! So, our advice usually involves recalling that classic line from Goodfellas, "F*ck You, Pay Me!" We may not actually go back and say that to the clients who are trying to stiff us, but it does give the entrepreneur a sense of empowerment. So, I decided to take our battle cry one step further and do a fun parody book! Why do you think it's so hard for entrepreneurs and freelancers to get paid in a timely fashion or at all? My sense is that most entrepreneurs are creative types who are great at what they do, but not necessarily hard-nosed business people. Most of us haven't been trained for that kind of challenge. I also believe that most freelancers feel like they're basically at the mercy of the client if they want to keep them. Why did you go the children's book route? I thought it would be more fun and playful to do an illustrated kids book and that the nursery rhyme style would be disarming, while still getting the message across. It was initially inspired by the "Go the F**k to Sleep" book for parents. CR: What are the key takeaways for entrepreneurs who have trouble getting paid? LB: There are always going to be clients -- and even corporations -- who will see if you'll work for free or in exchange for the dreaded "exposure." As I infer in the book, exposure doesn't pay the mortgage or put food on the table. So, the real reminder here is that, if you're providing a valuable service and you've delivered as promised, then you should be fairly compensated in a timely manner. And you should have a mechanism in place -- like an agreement in writing -- to ensure that happens. And while my story takes a more dramatic turn, you shouldn't have to resort to drastic measures like calling in your cousin Vito to help you collect. It's about standing firm with your clients and not accepting BS excuses. CR: Any other takeaways or tips for entrepreneurs? LB: Get paid in advance! More specifically, you have to treat your venture like a serious business or none of your clients will take you seriously. That means contracts and deposits and deadlines, and all the other things that make you a "real" business. In addition, and this is especially true for newly minted entrepreneurs and freelancers, you've got to charge what you're worth and stand firm on your pricing. Chances are you're not valuing yourself high enough. Sometimes you just need to channel your inner Ray Liotta and say: "F*ck you, pay me!"